25/7 Productions is a leading independent production company launched in 2003 by Dave Broome. The company produces innovative entertainment programming in television, online and full-length documentaries for National and Prime Cable Networks. The company maintains a full-service production facility in Los Angeles. In 2004, Broome created NBC’s longstanding hit, The Biggest Loser — an international brand seen in over ninety countries worldwide. New York native Dave Broome received his Bachelor’s degree in Business Administration from New York’s Hofstra University. In 1986, the diehard East Coaster moved West to host a radio sports-talk show on XTRA-FM, broadcast in Los Angeles and San Diego. He eventually segued into television, producing live music specials and award shows for Clear Channel Communications. These included Ryan Seacrest’s American Top 40 Awards, Fox’s Jingle Ball Rock, and NBC’s Radio Music Awards. In 2003, Broome established his own 25/7 Productions, helming projects such as NBC’s Tsunami Aid: A Concert of Hope, a worldwide benefit held for the Tsunami victims of the 2004 Indian Ocean earthquake, which he co-produced with George Clooney. In 2004, Broome created NBC’s longstanding hit, The Biggest Loser. Now in its 17th season, the show is an international brand and is seen in over 90 countries worldwide. Broome continues to be active as Executive Producer for the show. Over the last 15 years, Broome has created and produced hundreds of hours of primetime network and cable series, including competition formats, docu-series, music specials, award shows and live television events for networks such as NBC, ABC, FOX, CBS, CW, MTV, SPIKE, A&E, DISCOVERY, TURNER, LIFETIME, ABC Family, and many more. He has also taken 25/7 Productions into the Hispanic marketplace, forming a partnership with Gloria and Emilio Estefan’s production company, Estefan Enterprises, together producing the all-Spanish docu-series Dale Con Ganas for Univision. Most recently, Broome and 25/7 Productions, signed an exclusive overall deal with Sony Pictures Television. In addition to producing unscripted television, Broome has created scripted projects for HBO, DreamWorks and the USA Network as well as producing for NETFLIX the critically acclaimed sports documentary feature, Two Days In April. 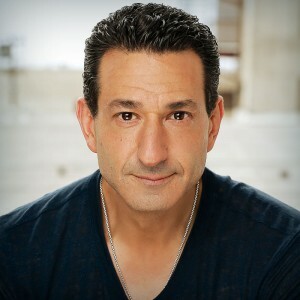 He has also created and produced several web series including AOL’s Jocks & Jills, a co-production with Queen Latifah’s Flavor Unit Entertainment company and Startomorrow, an online music competition series with David Foster that aired on NBC.com. In a nutshell, Broome is a hands on producer who only creates & develop projects that he is passionate about, whether big or small. Outside of the office, his passion carries over to his love of fitness, fine food & wine, and music, often composing both for himself and for various 25/7 projects. Over the last 15 years, Dave Broome & 25/7 have created and produced hundreds of hours of primetime network and cable series, including competition formats, docu-series, music specials, award shows and live television events for several networks.